A great way to create something new is to change what’s old with what’s new. Still sending mails through beautiful postcards and licking those stamps? Well, if you enjoy doing that, you are missing out on the digital side of fun. 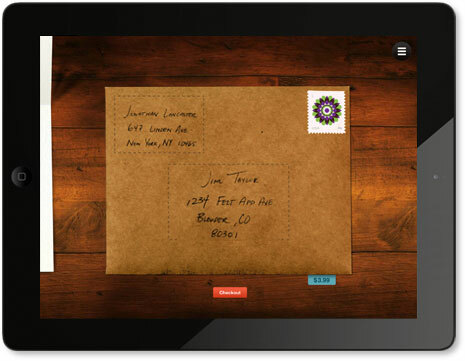 ‘Felt’, an innovative app allows you to send out handwritten cards with the help of digital technology. This app basically allows users to select from a spectrum of card designs and then allowing them to customize their cards with a handwritten message. Users actually write with their hands on the iPad instead of typing it out the mechanical way. Pretty cool isn’t it? Even the postage details on the envelopes are handwritten just like how you would like to get all nostalgic about the good old fashion way of sending postcards. Once the card is completed, Felt actually print your handwriting onto the real cards and envelops and then ships it to the recipient. An app that gives you that fun of keeping whats old by using what’s new.